We set up an effective cluster with 64 processing cores and 8 powerful GPUs. We plan to use this for prototyping our HPC products, password cracking using Hashcat, playing with Google's Tensorflow software for deep learning or even Litecoin mining. But building your own cluster can be useful for any purpose (need some extra heating for your office in the winter?). 1 or 2 2200VA rack mounted Uninterruptible Power Supply (UPS). We used one CyberPower OR2200PFCRT2U ($420 on Newegg). 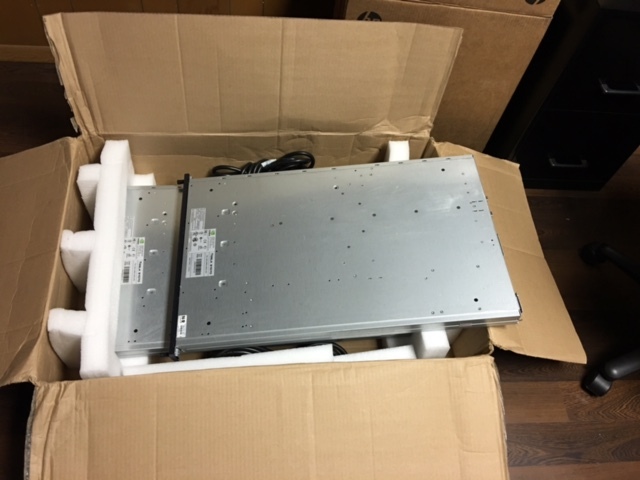 Each Dell server cost us $85 and each NVIDIA server cost us $165, including shipping. 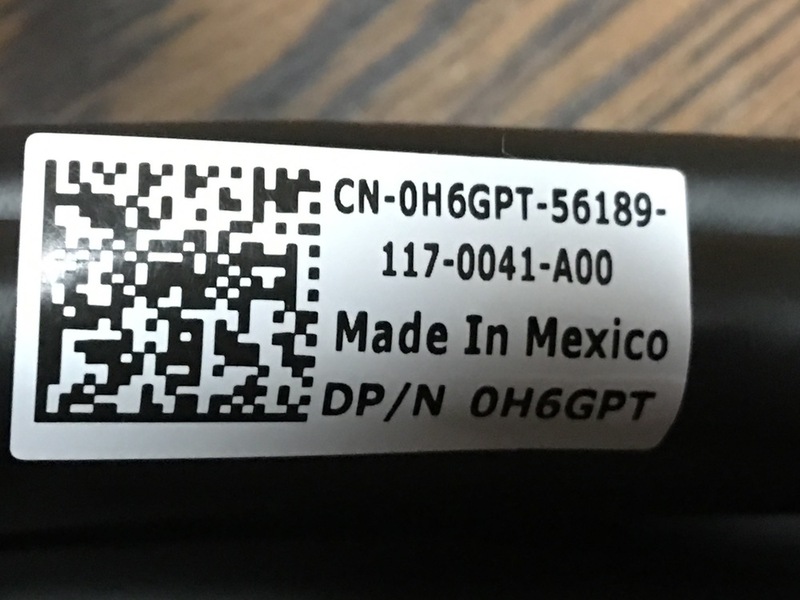 To connect the NVIDIA servers to the Dell servers, we needed to purchase 4 PCI-e x16 host cards and cables described above. Except for our servers and the server rack, every other item was purchased new. Each NVIDIA server required 110V 16A input, and the PDU and UPS required 20A electrical sockets. 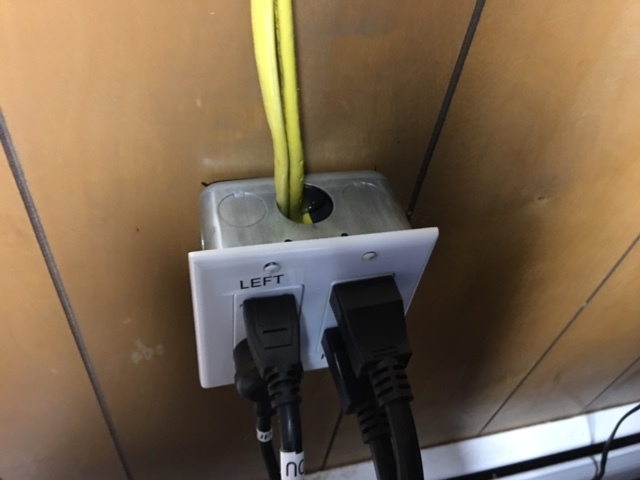 So we ended up adding two extra 20A electrical lines from the mains so that they could take the load of the full rack when all the servers were running at once. This should be enough for our purposes. If we add more such servers in, we will need to add more 20A lines to handle the load during 100% use of all the servers. 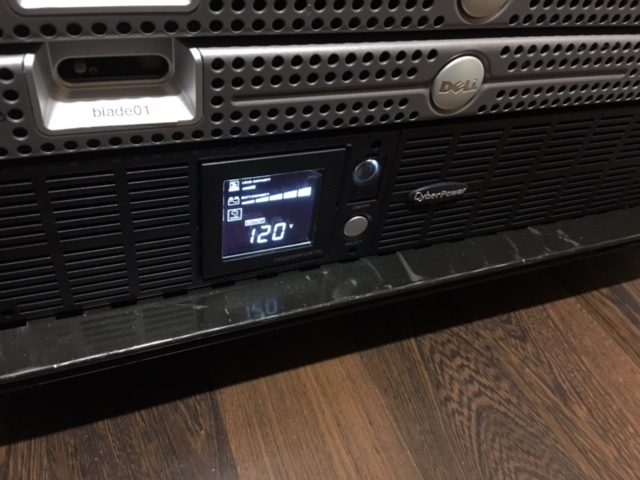 The NVIDIA servers need to be powered separately from the Dell servers, and that is a good thing since it allows the user to distribute the power usage across various UPS systems. 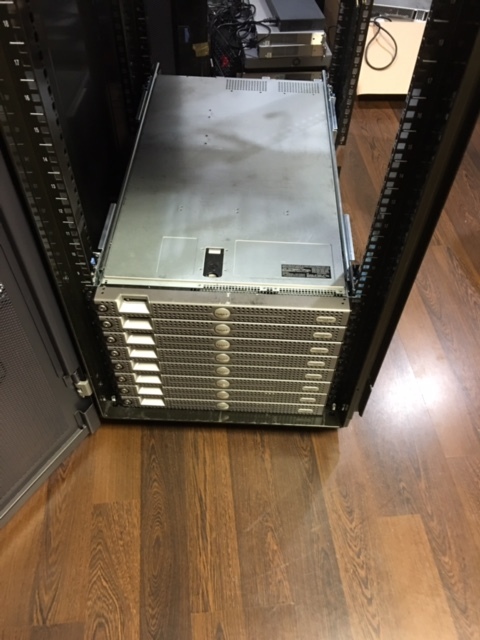 As far as the UPS goes, we purchased only one since we didn't plan on running anything sensitive on this cluster. 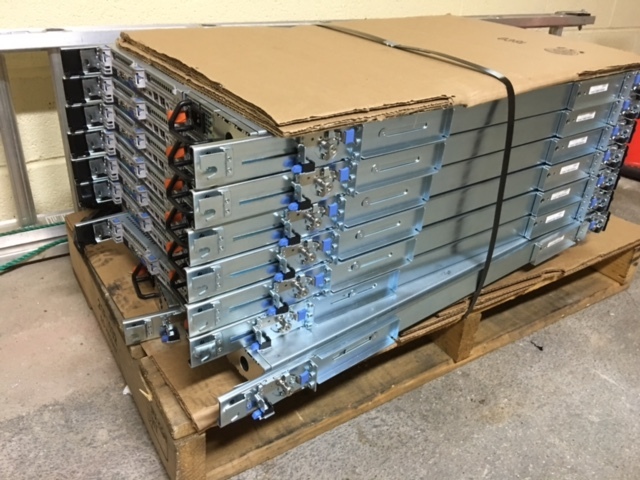 Each Dell server requires about 450 W at maximum load, and hence to support half the cluster or 4 Dell servers you would need at least 1800VA. We purchased one 2200VA pure sinewave UPS since that would handle other necessary peripherals like monitor, switches, routers etc. Later we might add one more to handle the rest of the servers. A UPS with a 20A input is better for heavy loads. In all, the total cost of setup was about $2100 for complete setup including the electrical work, which is much cheaper than a single powerful server you could buy today. But hey, this is a development cluster for ourselves and setting it up was great fun ! 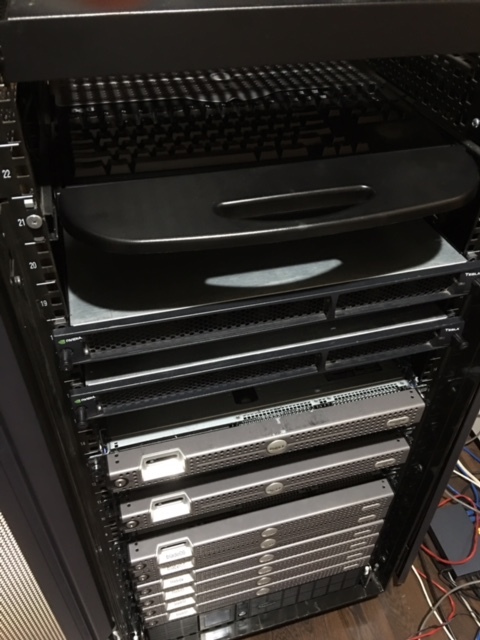 Each NVIDIA server has 4 GPUs connecting to a host machine using 2 PCI-E x16 host cards which need to be installed in the host machine, which in our case is the Dell server. 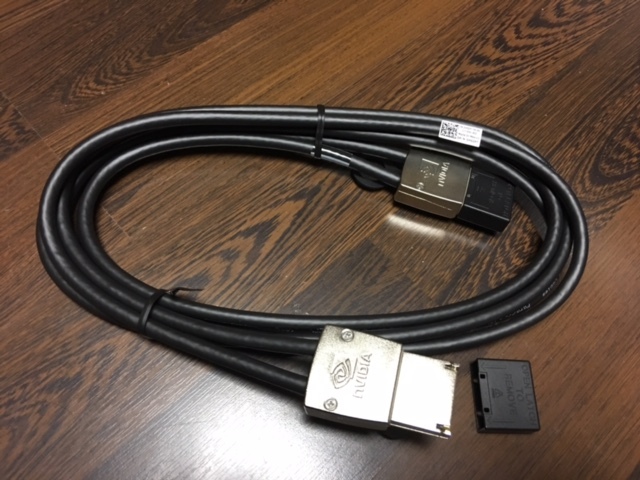 The host PCI-E card is then connected to the NVIDIA server using the Dell-NVIDIA H6GPT Molex connector cable as described in the S1070 documentation. The Dell servers only have two PCI-E x8 connectors but our host PCI-E cards are x16. 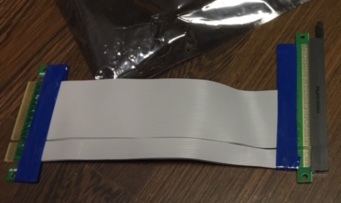 Hence, we use an PCI-E x8-x16 flexible Riser cable to connect the host cards to the Dell server. 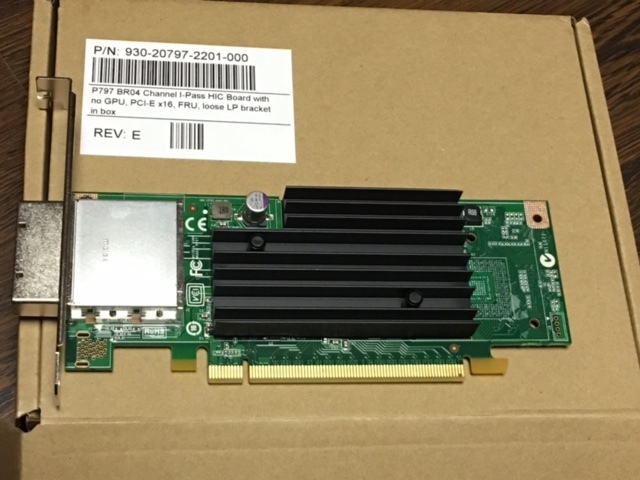 However, this doesn't snugly fit inside the 1U server, and hence we let the PCI-E x16 end of the cable come out of the slot at the rear end of the Dell server and connect the host card to it as shown in the figure below. Despite these hanging cards, the server rack doors close without any problems. Using a PCI-E x8 connector instead of a PCI-E x16 leads to slightly slow data transfer speeds, but that may not be an issue for a development cluster. Speeds are also dependent on the programs being run, where data transfer intensive programs may see a boost in using a direct PCI-E x16 connector while compute intensive programs may not see any difference. Instead of attaching one host card per Dell server, we attached two host cards per Dell server, making our GPU cluster consist of 4 GPUs per Dell Server. This allows us to run CUDA or OpenCL programs that can take advantage of multiple GPUs on a single machine. The Dell 1950 III Server is supported out of the box on Ubuntu Server 16.06 (Xenial) 64-bit Linux. So we manually installed Ubuntu Server on each of the eight Dell Servers. For the two servers that had the NVIDIA host cards connected to them, we installed the NVIDIA drivers and CUDA toolkit using the following procedure. First we check which version of drivers and CUDA toolkit we need for NVIDIA Tesla S1070. As shown in the figure, we see that the version needed for the drivers is 340.93 and for CUDA toolkit is 6.5. NOTE: We had to install g++-4.8 because the CUDA toolkit 6.5 requires it. We now extract the file so that we can selectively install only the items we want such as the CUDA SDK and the samples. We do not want to install the NVIDIA drivers that come with this binary blob. We do want to build all the samples so that we can test the GPUs. At this stage we have now successfully installed and built the CUDA software and the NVIDIA drivers. So let's reboot the system. Once the system has booted up, let's login again either as root or as a regular user and run lspci to make sure that the NVIDIA host cards and the GPUs are detected. Let's run lsmod to check that the nvidia driver has been loaded. You will see that there is the radeon driver also loaded but that's because the Dell server has an on-board AMD/ATI VGA unit. Let's setup some environment variables needed to run the CUDA samples. Start a new bash shell and verify that the paths have been set. Now let's run the deviceQuery program that is part of the CUDA SDK and make sure it is detecting all the GPUs. Device 0: "Tesla T10 Processor"
Device 1: "Tesla T10 Processor"
Device 2: "Tesla T10 Processor"
Device 3: "Tesla T10 Processor"
With this we come to the end of the setup of our development HPC cluster. We are now ready for using it.